It is a real challenge for both students and teachers to stay productive all day long, especially if learning takes a substantial part of the daytime. There are so many reasons for distraction! Children may easily go on watching TV instead of reading textbooks, playing tablet games instead of doing researches and so forth. Teachers get overwhelmed with educational routine and emotionally worn-out after classes. So what to do with procrastination and how to uncover the inner motivation? Here are 7 tips that can help to boost productivity in the edu sphere. Yes, this is the most traditional and yet efficient way to stay organized. But you can try modern approach to it and make the digital list. 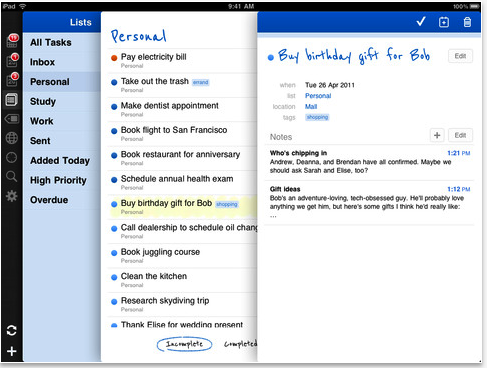 There are a number of task trackers like Remember the Milk or Microsoft OneNote. They are pleasant to use because of a wide choice of performed features: every task has its own settings, deadline and priority. If you don’t trust mobile lists, the old paper and pen will work as well. But there is a secret. Stephen R. Covey in his “7 Habits of Highly Effective People” encourages us to write down not only the tasks, but also the estimated time, required for the fulfillment of every step separately. If you do it and then check the result, you will be surprised to discover how much you can do in time without being in a hurry. Unfortunately, this doesn’t work with personal meetings. They often depend on events out of your scope. If you perform some creative job like essay writing, you can notice that even sticking to a task order doesn’t really help to finish your work before deadline. Obviously, your brain gets tired and you can’t fulfill the daily tasks’ list. Here’s a solution: don’t be shy to change activity order. It is about giving your brain some time to rest. For example, there is no need to urge yourself to write a long and thoughtful essay right when you start. May be it is better to learn the topic and then to open another document or turn over the page and do another kind of homework like writing something down or learning by heart. In this case your brain will start working and create the solution in the background mode. Some tasks from your list don’t require your full attention, when you are sitting at the desk and trying to make the annoying song get out of your mind instead of working. But on the bus, for example, going to college, you may find the time to study and in this case you must have everything at hand. 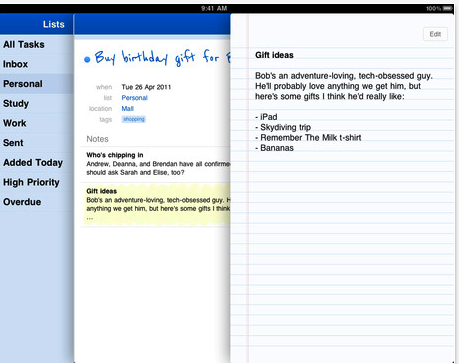 For example, for note-taking and ideas-capturing you can use Evernote, which is supported on almost every OS. Sign up with Dropbox or Google Drive and put there all the documents you may remotely need. Once you tune everything and then you will never waste a minute of your life. Okay, let’s be honest: here in this digital world we do use a lot of PC programs, so let them not distract you or be the reason to avoid studying, but play on your side. When you need to perform a lot of transformations with media files, you don’t need special program for making slideshows for your presentation or turning AVI video into MPEG4 for watching on iPhone. You can use multitask soft like Freemake Video Converter or VLC Media Player and do all the operations in a click of a mouse. If you want to study at home, make it fun: organize your workplace, choose your specific time (no problem if you feel comfortable working at midnight) and add some joyful details like peanuts or your favorite beverage. If you are sick and tired with your home workplace, just stay in the University library as the right place to study is between the pages of a book. Don’t forget to find little joys in everything you do. Select the notebook for your taste and get amused every time you open it. The similar rules are applicable to the teacher’s life. Always reward yourself for each achievement. It helps to stay in good mood even during tough times. If you have a long list of tasks, where you have face both favorite and unpleasant tasks, do the worst at the beginning. You will need to get rid of it as soon as possible so that to come down to the subjects you like. It will be much easier to pull yourself together, if you know that things, which are much more interesting, are impatiently waiting for you. Every time you feel lazy try to remember what you are doing all this for. You can draw a chart of mind-map on a piece of paper with your educational targets. You know, sometimes it is very hard to go along, but you can always look back at how much you have already gone through. And remind yourself what for you are going this way. It will boost your motivation up and help you stop texting your friends or browsing the Web and start doing. Surely, there more ways to increase productivity. What would you recommend adding to this list?